These are the most popular array of décor pieces. 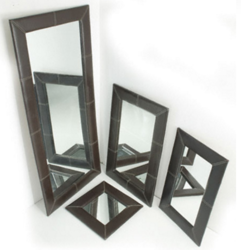 The wide range of decorative mirrors we offer reflects the Indian workmanship and is very popular amongstl customers. The offered mirrors are durable, resistant to scratches and available at cost effective prices. These mirrors are extensively used in residences, commercial sectors and industries as well. 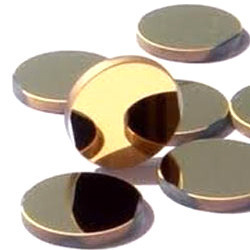 The offered mirrors are available in a wide pattern of designs and are cost-effective as well. Export Quality Dove Through Mirror. This Embossed Mirror is available in different design finishes like embossed border finish. This embossed mirror is easy to clean and known for its eye catching design and attractive frame. Co2 Laser Reflective Mirror is widely-used in different kinds of laser machines(cutting/engraving/marking/drilling/welding). 1. Decline the loss of laser materials. 2. Maintain the laser working power to the greatest extent. Vcare Convex Mirror is one of the trusted name for suppliers of Road Safety Products in India.